We are delighted to welcome two new owlets , which have been painted especially for the Owls of Bath charity auction and made their first appearance at the Owls Hoot Farewell auction preview weekend on the Bath Rec last weekend. 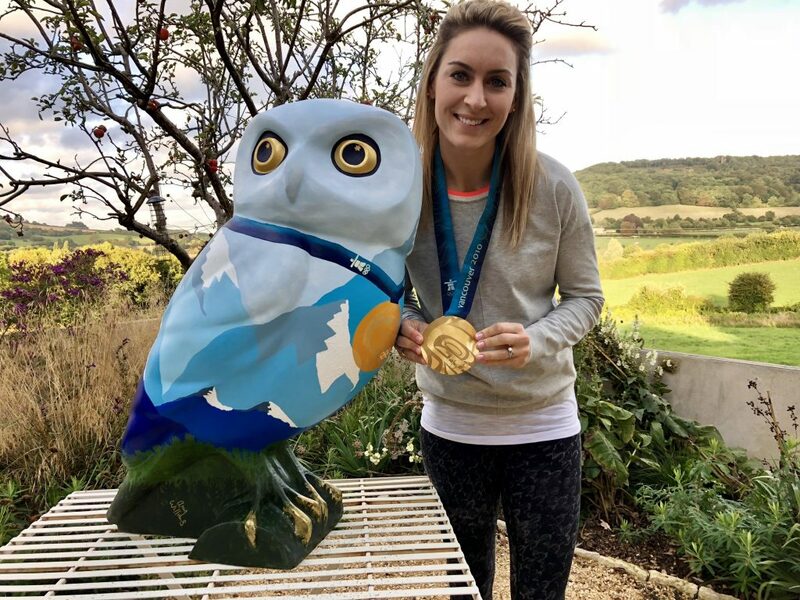 OWLympus was painted by Olympic gold medallist Amy Williams MBE in a winter Olympics theme, wearing Amy’s medal around its neck, and Magritte – ceci n’est pas un owl painted by Bath artist Philip Bouchard, who is best known for his surrealist art, Bath skies and desert paintings.  Amy will be assisting charity auctioneer Addison Gelpey by auctioning some of the owls at the auction at the Apex Hotel on Wednesday 17th October, including her own! 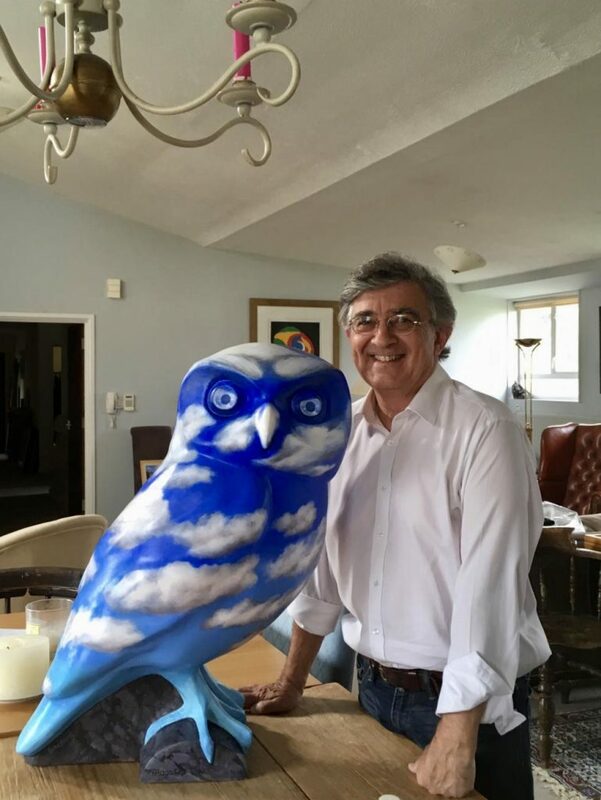 Just four owlets are being auctioned, as the remainder are being returned to the schools and charities which decorated them, as a legacy of the project. The other two owlets flying the nest with OWLympus and Magritte are Kid Cre’Owl and Twit to Leave EU. The owlets are 75cms tall so are perfect for displaying indoors or out!